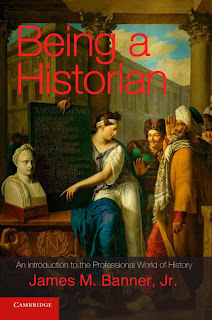 "On Being a Historian: An Interview with James M. Banner, Jr."
Historian James Banner's new book Being a Historian: An Introduction to the Professional World of History (Cambridge University Press, 2012) is an insightful and often provocative overview of the current state of the discipline of history. Drawing on more than fifty years experience both within and outside academic walls, Banner argues that while there is much to celebrate, the discipline needs to acknowledge and confront a number of serious challenges. Banner, the author of many books and essays on history, education, and public affairs, is currently working on a book about revisionist history. Senior editor Donald A. Yerxa interviewed Banner in July 2012. Donald A. Yerxa: For the benefit of our readers, would you briefly summarize your central argument in Being a Historian? 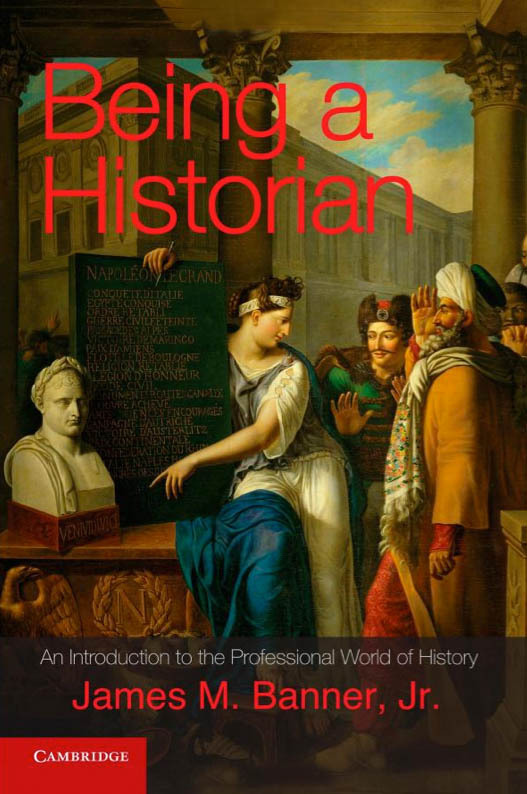 James M. Banner, Jr.: The basic one, from which the book descends, is that history is a discipline—a distinct domain of knowledge— pursued in many professions. That is, there's no "history profession," as we colloquially call it, as such. That argument's corollary is that academic history, while still the center of gravity of the discipline, does not embody all of historians' knowledge, institutions, or practices. Of course, we know this, but our terminology and the way we relate the history of the discipline haven't caught up with the facts—much to the cost of reputation, reward, self-respect, and, most importantly, the training of historians. I thus also argue that, while the preparation of historians has substantially improved in recent decades, it remains deficient. That argument, that we have farther to go in preparing historians, is like an organ point in a passage of music, the rumbling contention of the entire book. Finally, I argue that historians (like, I must say, sociologists and biologists, attorneys and engineers) must seek more guidance, not from the idols of the tribe—academic professors—or from within the conventional template of graduate student preparation—how principally to become an academic scholar-teacher—but from within themselves, from their particular dispositions, gratifications, aims, and gifts. Yerxa: What prompted you to write it? And for whom is it written? Banner: Part of the spur was purely personal as is—isn't it?—all writing. I wanted to try to draw together my reflections, frustrations, and concerns about the entire discipline of history formed over more than a half-century of being a historian. I wanted also to challenge my colleagues to go further in altering the way historians prepare young historians for their professional worlds. And there was a part of me that wished to do what I wish the senior historical organization in the U.S. and the largest and most influential body of historians in the world—the American Historical Association—would periodically do: assess the state of the discipline. And so the book is a kind of evaluation of the condition of the discipline today. But it's also a book with two very specific audiences in mind: first of all aspiring historians, for whom I want to provide a kind of honest, optimistic, yet disenthralled introduction to the discipline they're entering; and second, my more experienced colleagues who ought to be training historians to interact with the larger world as well as with scholars and students and who, I hope, are learning to reach out to that world themselves. Yerxa: You argue with conviction that it is a mistake to confuse the discipline of history with the profession of history. Why is it such an important distinction to make? This looks like an interesting book. It would be really cool if a few readers of this blog decided to read the book, and then get together electronically to discuss it. Could be Skype, or Google Plus, or even just an email forum. Or THS could think about creating fora like this in the future.